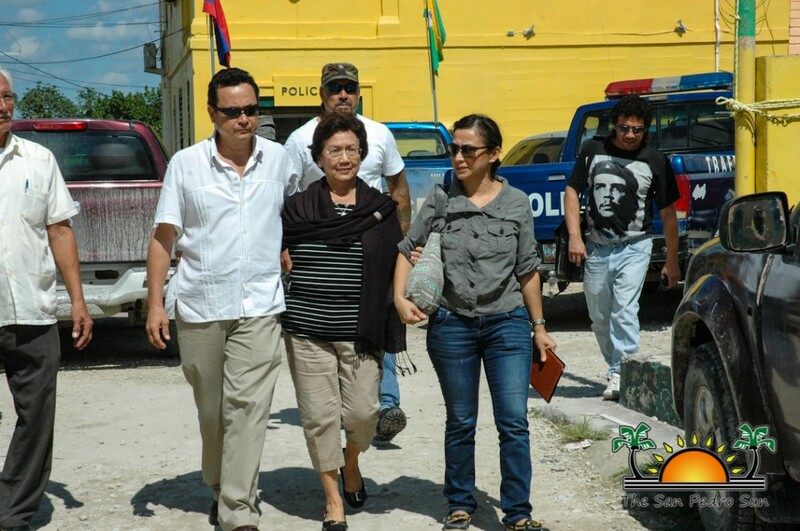 Family members of the late former Senator and Mayor of Orange Walk Town Ramon Cervantes Sr. were back at the police station to give another police report on the request of the Belize Police Department. That request was as a result of the revelation of a recorded telephone conversation between Vilma Cervantes and Manuel “El Pelon” Castillo, the person believed to have executed the murder of the well respected Orangewalkeño. Following the release of the recording, Belize Police Department said that the only person wanted for the murder so far is El Pelon-Castillo who is a fugitive and is being sought with the assistance of Interpol. The phone conversation was released to the press during a memorial service in honor of Mr. Cervantes on Wednesday November 5th. The call was allegedly made to the Cervantes family home one month prior to its release, and was made by someone who identified himself as Castillo and whose voice sounds much like that of the wanted person. 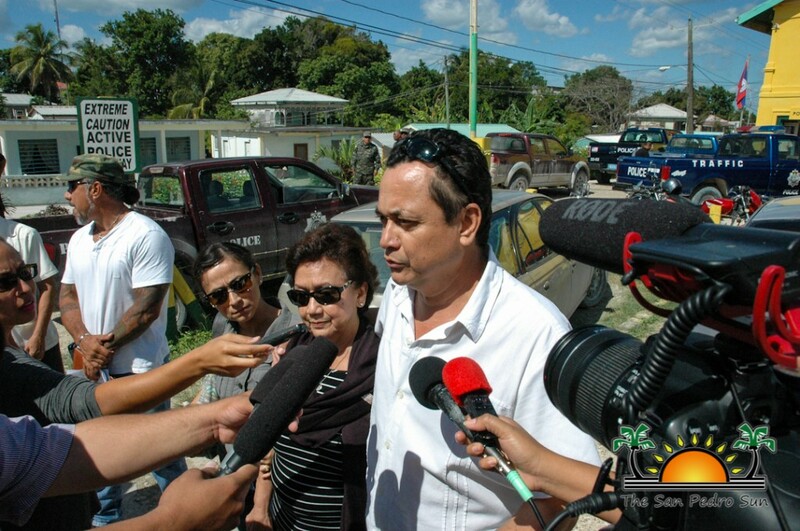 The caller made serious allegations, indicating that a senior elected Belizean Parliamentarian and Cabinet minister as well as a senior member of the Belize Police Department stationed in Oragne Walk Town was the mastermind behind the torture and execution of Cervantes Sr.
“The young men made a mistake. They went and grabbed your husband. It was your son that they wanted to kill... It’s Monchi that they wanted to kill. They made a mistake and they killed your husband,” indicated the caller believed to be Castillo. In the conversation that lasted about 16 minutes, he implicated and called names of two main people he claimed planned the murder. Castillo said that he has hidden proof and even recordings in which he was sought, offered a handsome reward to carry out the execution, which he claimed he refused. He claimed that after he refused to carry out the execution, he was shot and left for dead in an attempt to frame him for the murder. According to the caller, he was found by some people near the Hondo River, taken for medical attention and managed to survive and is hiding. He also claimed that because those involved are highly connected to the Mexican mafia, he will remain in hiding until he can clear his name of the murder. On Friday November 7th, the Cervantes family handed the recording over to police along with three police reports. After exiting the Orange Walk Police Station, Ramon Cervantes Jr. told the press that all the family wants is justice. “I hope that as is normal; the conversation was handed in. The ring leader of the ring that killed my dad mentioned a full name in particular and we hope that the police carry out their investigation as they would do with any other ordinary citizen that is accused or mentioned in a crime. In the interest of justice and in their interest, I hope so. The purpose of all this is to get the truth. We are not here to crucify anyone or to go after anyone. This is to find the truth. What we want we've said it, we want the truth and then we want justice." The phone call made to Ramon Sr.'s widow, Vilma on October 8th was not made from a Belize registered phone company and is believed to have originated from Mexico. Since being on the run, authorities in Belize believe Castillo has absconded to Mexico, where he is believed to have major associates. Three men were arrested and charged for the murder of Cervantes Sr. but Police strongly believe Castillo is the ring leader.